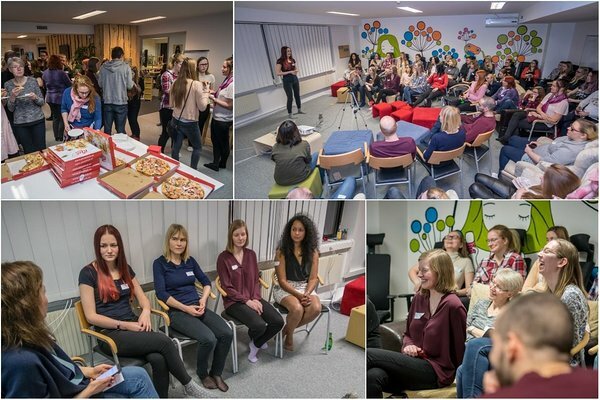 On January 25th, Tech Sisters’ Tartu fourth networking event and the first one in 2018 took place in Fortumo. This time we focused a bit more on programming, experiences and cooperation. In addition, our speakers also shared some tips&tricks - where to start, what to discover and what one should always keep learning. All participants received the list with tips to their e-mail. Before Fortumo Riina worked as Java Developer at Nortal for 10 years (being the first and only female programmer there for quite a while). She enjoys solving complicated programming and software engineering problems, involving concurrency, high availability, optimal performance, etc. After quite a long time in the industry, she still finds it very challenging and varying job, offering many opportunities. Besides programming itself, team spirit and marvellous colleges are the things that make her job most enjoyable. Mari-Liis has always loved working with computers. She hoped that studying Computer Science at the University of Tartu would help her find her dream job, but instead the whole journey was full of questions. Everything changed when she became a Software Engineer Intern for Fortumo. Three months in Fortumo taught her what 3 years in university couldn't - everything is achievable! Right now, Ingrid is an iOS developer in a product development company called Mooncascade. It all started in 2013 when she started studying Computer Science (BA) in University of Tartu. Like most students, she didn’t know what she actually started studying, only that it was something to do with computers and how to make them work. Luck was on her side and she liked creating software. So, three years later it was time to enter the job market. But it took around 10 to get a job as a programmer and over a year to get the dream job in Mooncascade. Born and raised in Paris, Alexandra comes from an Indian and African family of seven. She graduated in 2010 from an International Business School in Paris. Since then, she worked in the IT and Web sector for international corporations such as EMC, Oracle and LinkedIn. It gave her the opportunity to build some skills and experience in sales and account management, and acquire some basic IT knowledge. After living a total of one year in Spain and four years in Ireland, she decided to settle down in Tartu with her partner and daughter. After a well enjoyed maternity break, Fortumo was and is her first real start-up experience. Thank you, Fortumo, for hosting us!